Advantage There are 3 products. 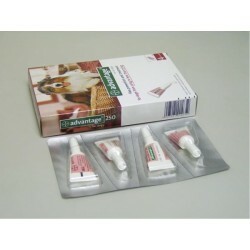 Advantage is an effective and safe treatment for fleas and biting lice on dogs, cats and rabbits. Available as a spot on, it is easy to apply. 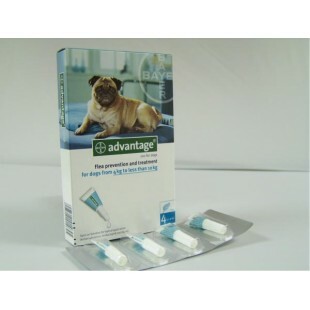 Advantage can be used on cats and dogs from 8 weeks of age, and on rabbits from 10 weeks. 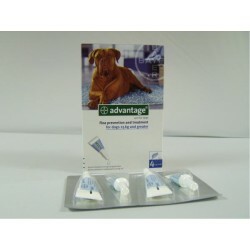 Advantage 400 is an effective and safe treatment for fleas and biting lice on Large dogs. Available as a spot on, it is easy to apply. Advantage can be used on dogs from 8 weeks of age.